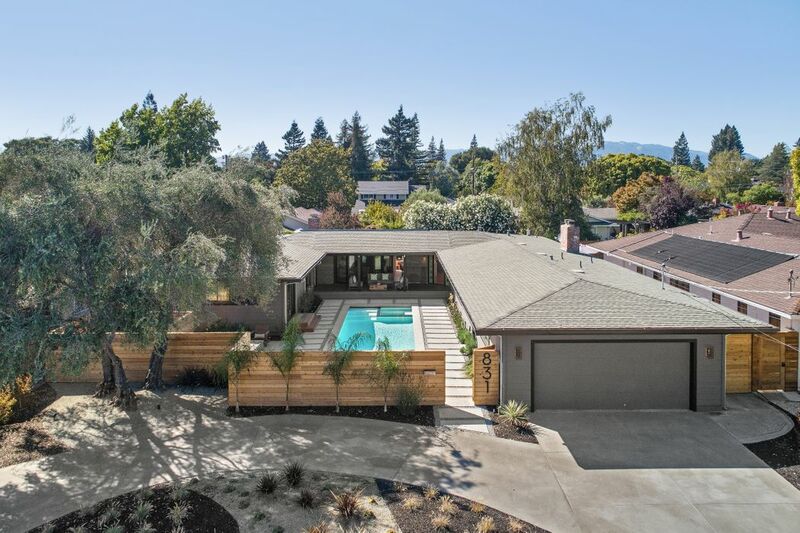 831 Virginia Ct , Sonoma, CA 95476 | Sotheby's International Realty, Inc.
$2,350,000 4 Bedrooms3 Full Baths2,542 sq. 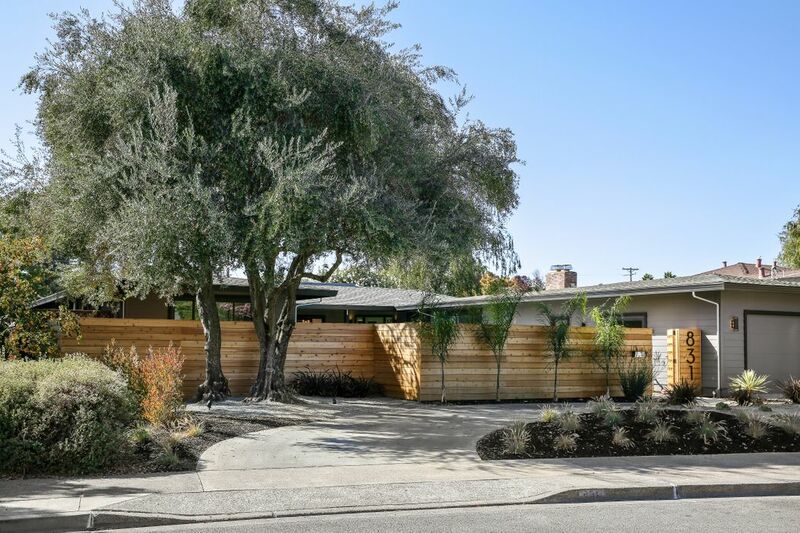 ft.
Mid-Century modern masterpiece. 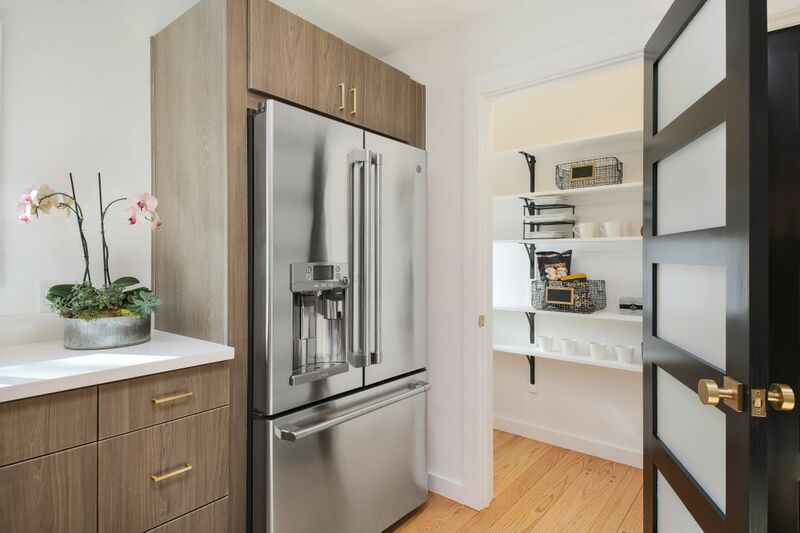 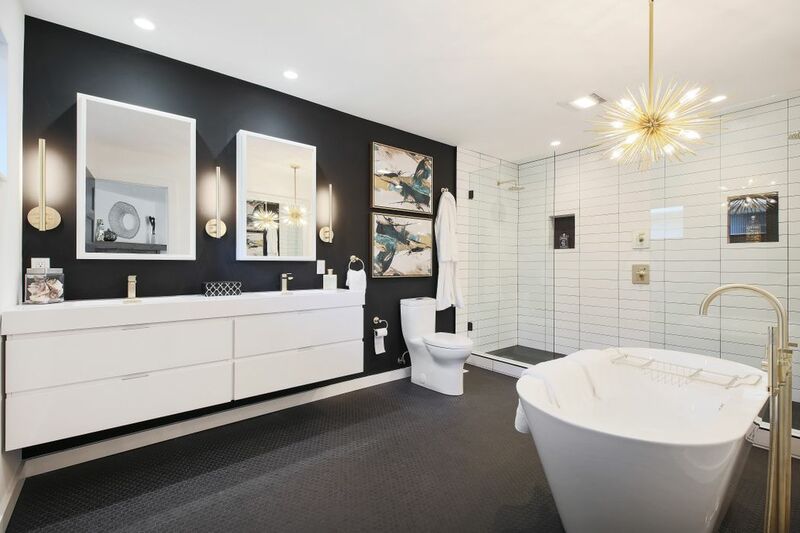 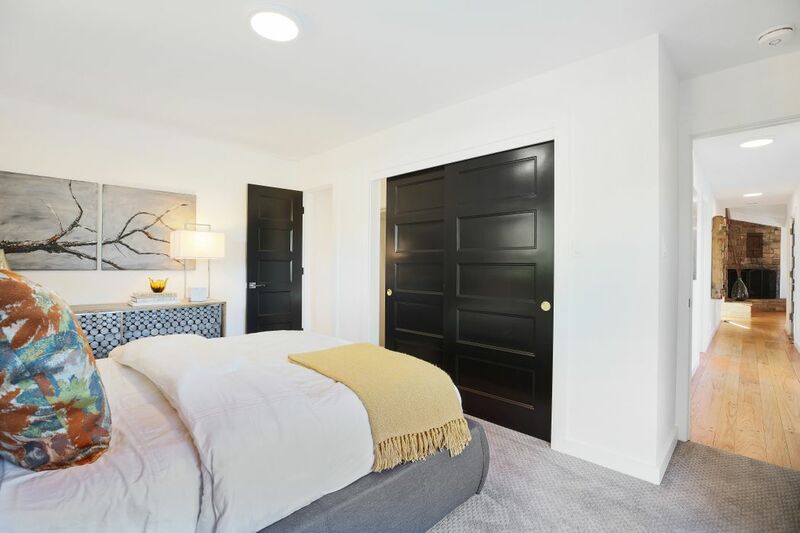 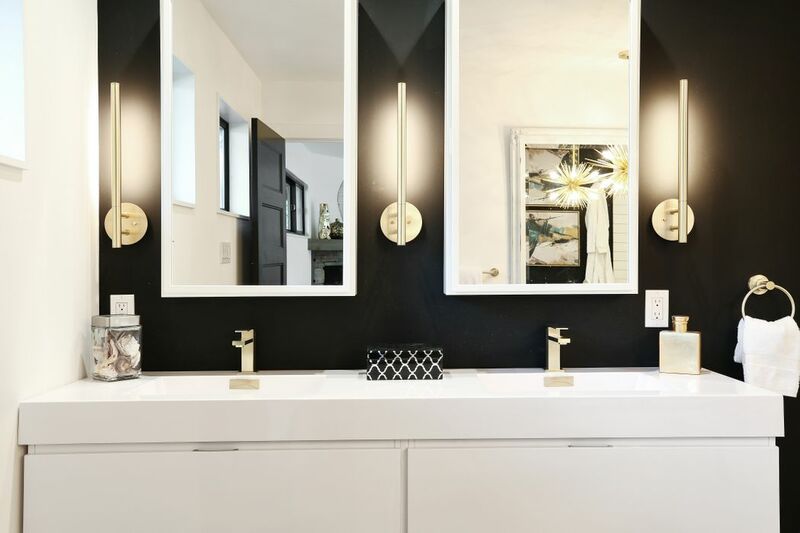 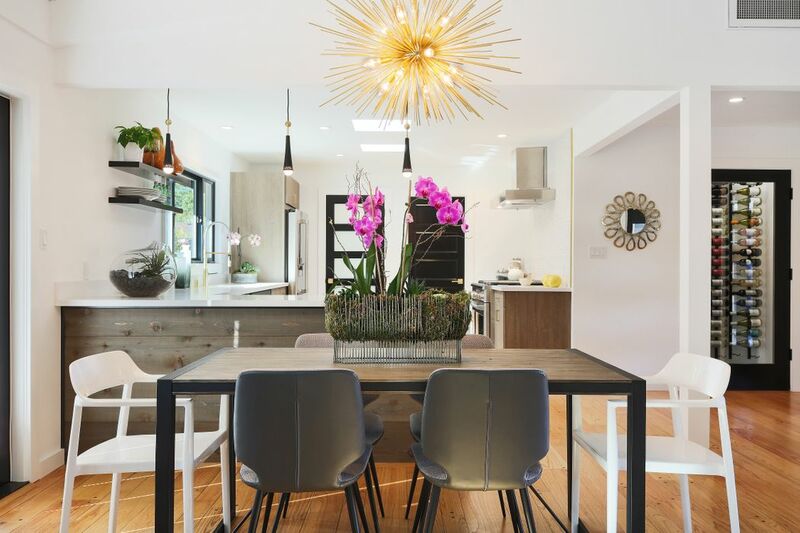 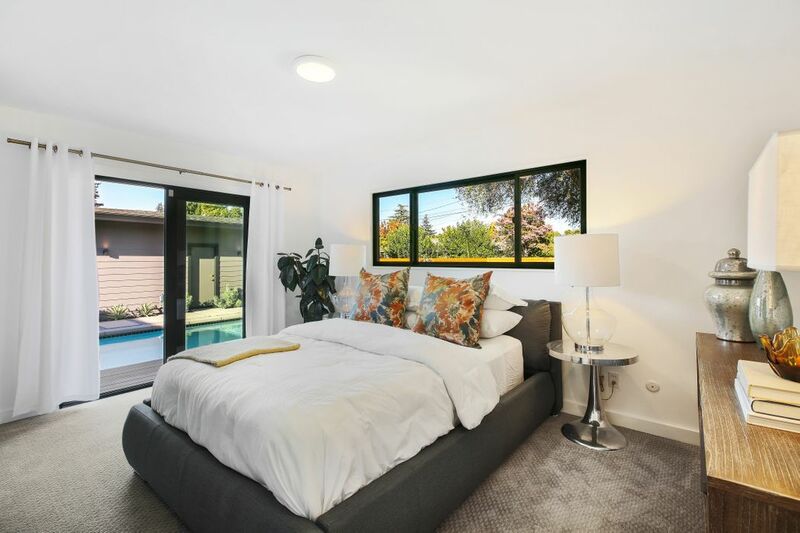 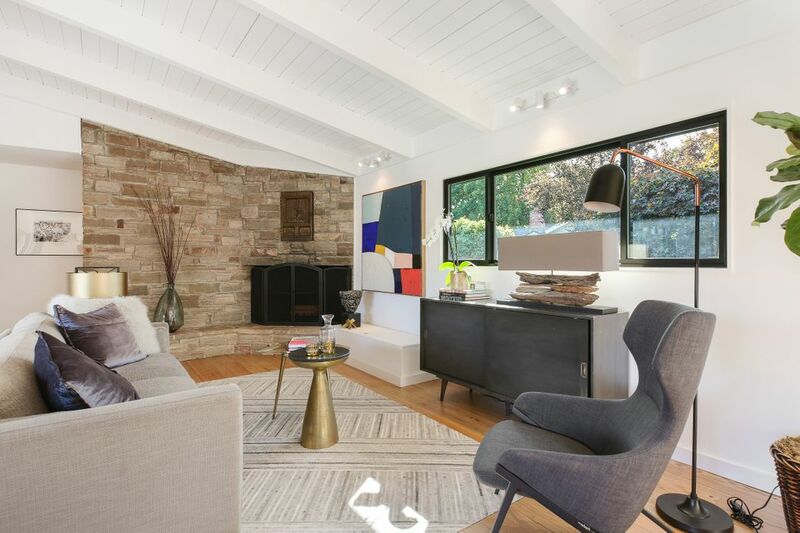 In 2018 the home underwent a loving renovation with particular care taken to preserve its most iconic mid-modern features. 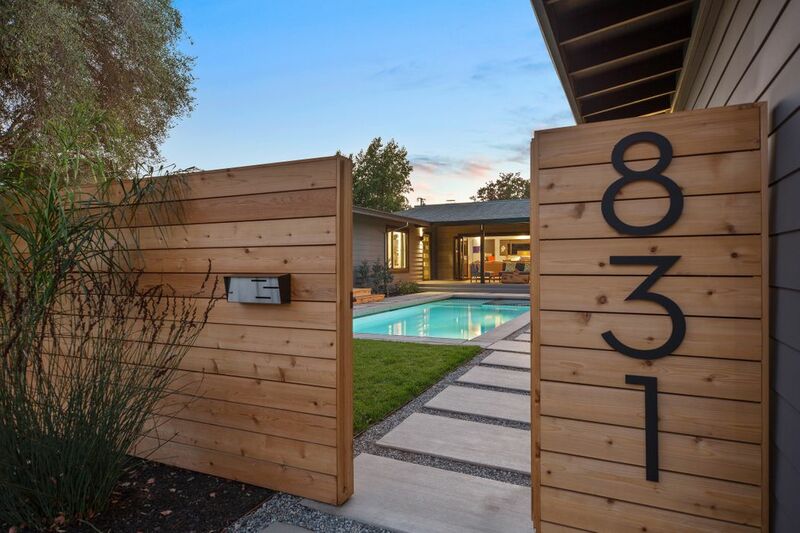 Enter the front gate to a cloistered paradise including state of the art pool with spa complete with an APP that controls the pool from anywhere. 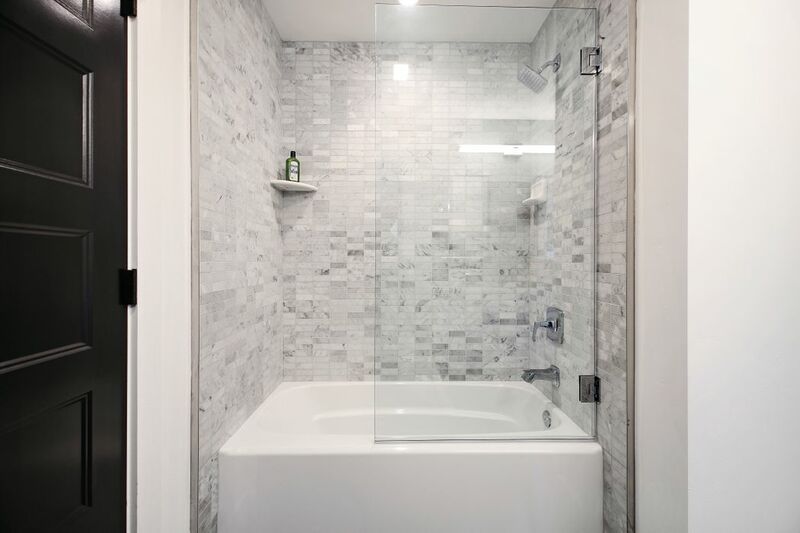 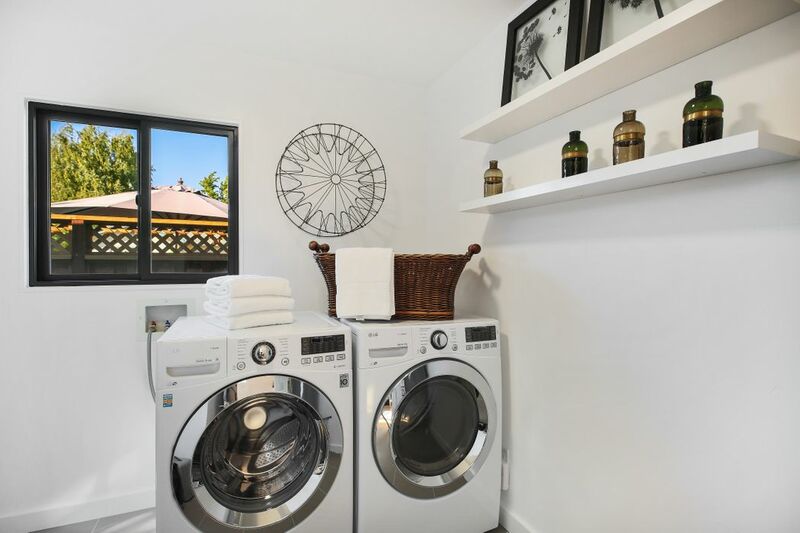 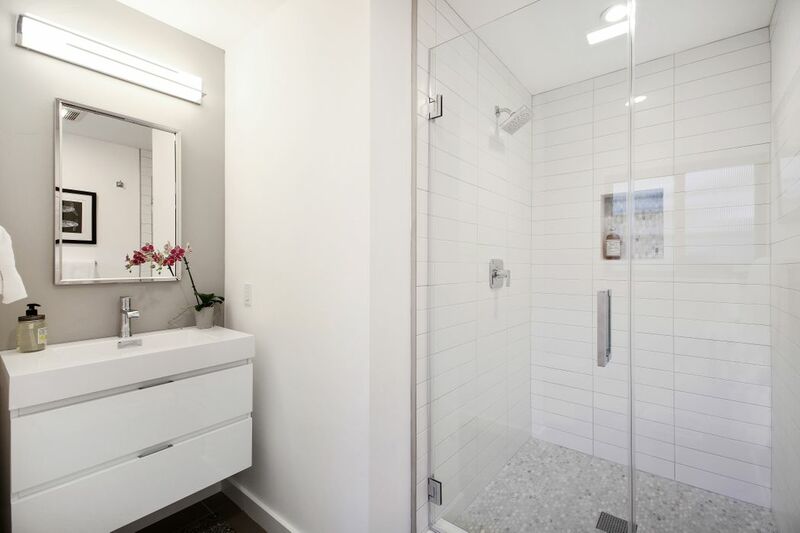 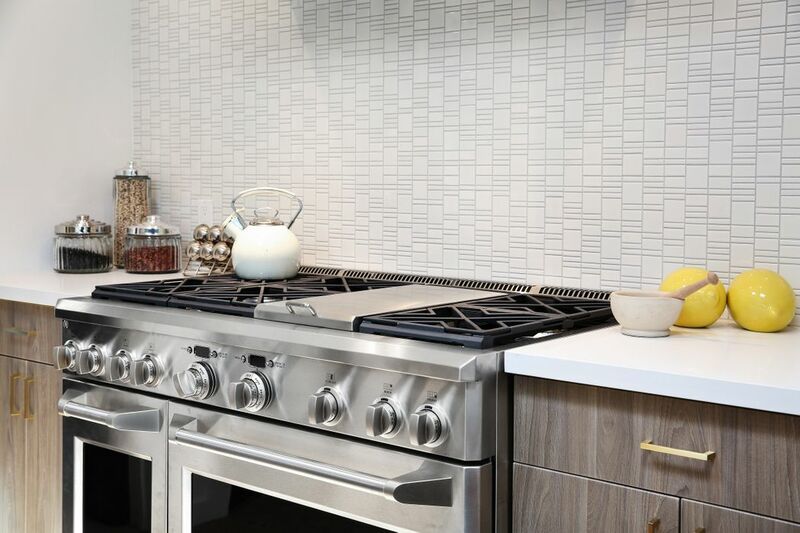 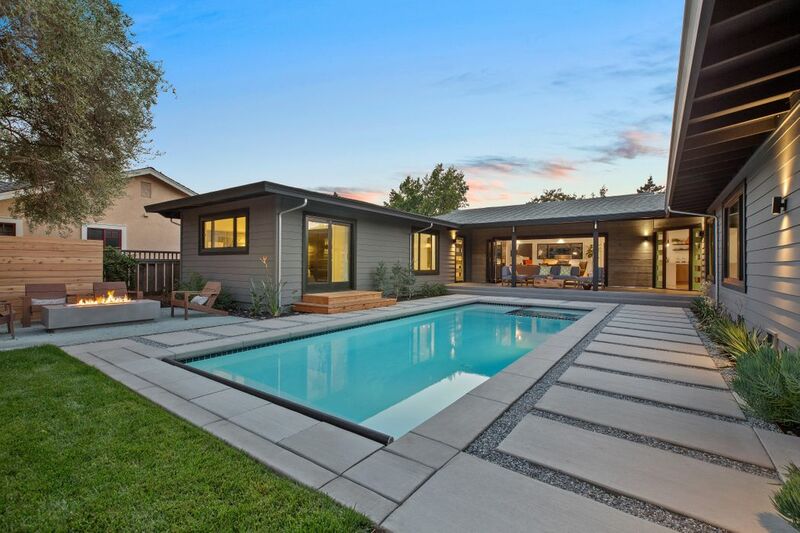 Current energy efficiency standards and modern design while paying homage to its highly coveted mid-modern roots. 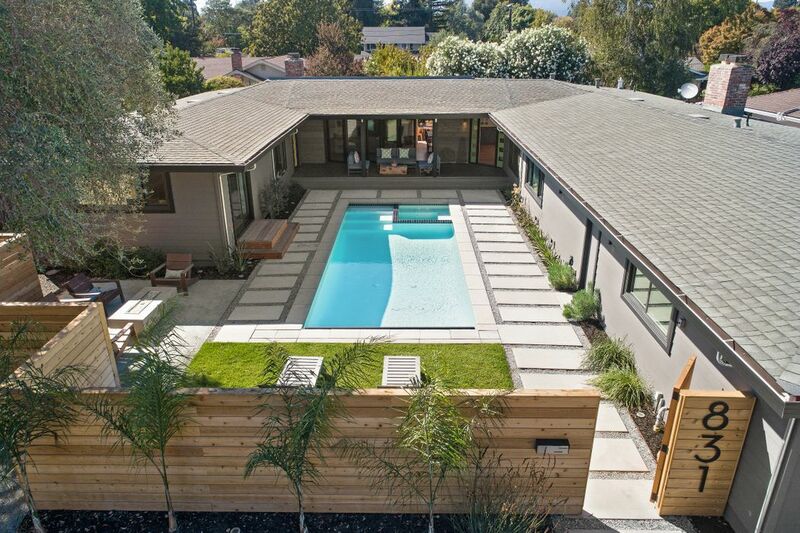 A generous 2,542 +/- sq.ft. 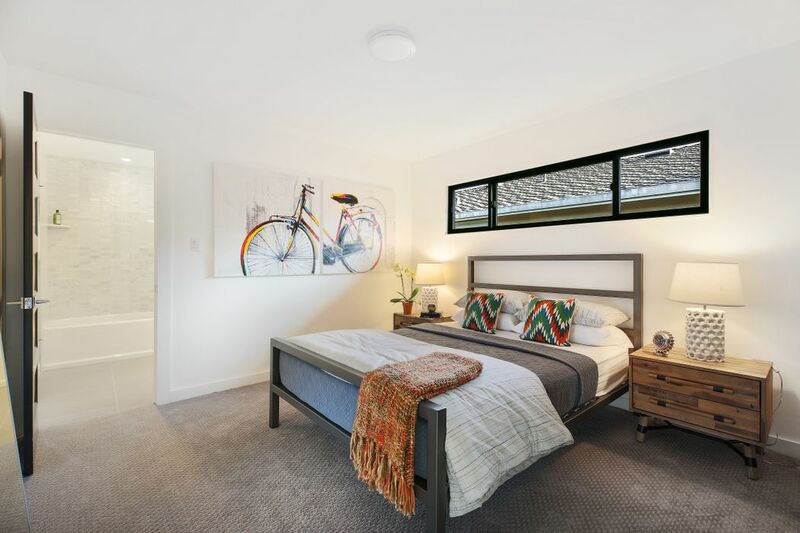 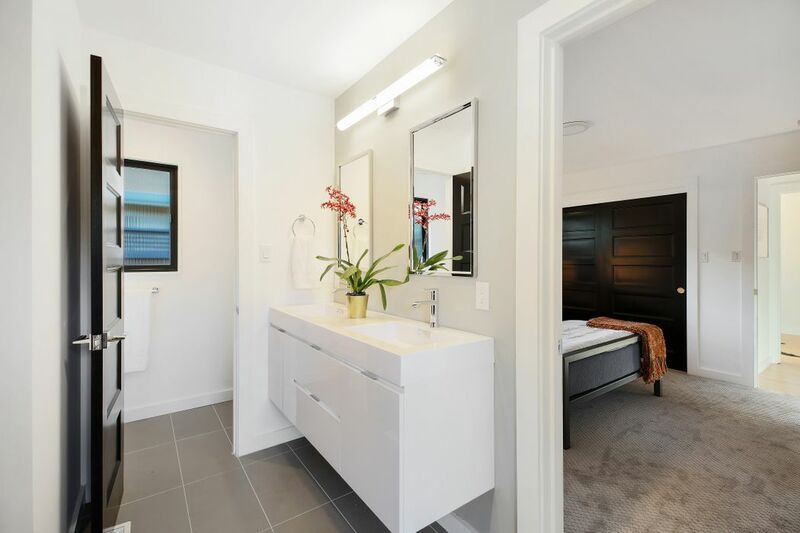 of living space with new kitchen, 3 ensuite bedrooms and a fourth bedroom/office. 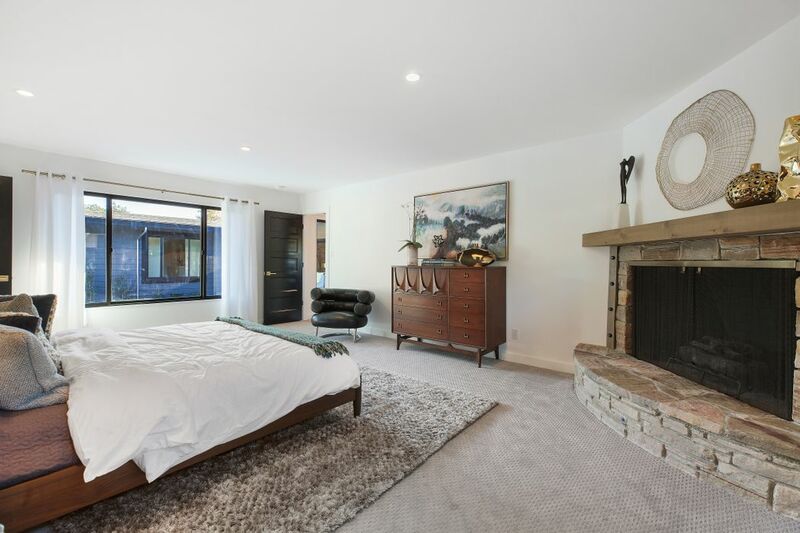 Three grandfathered wood burning stone fireplaces: in the living room, media room and master bedroom. 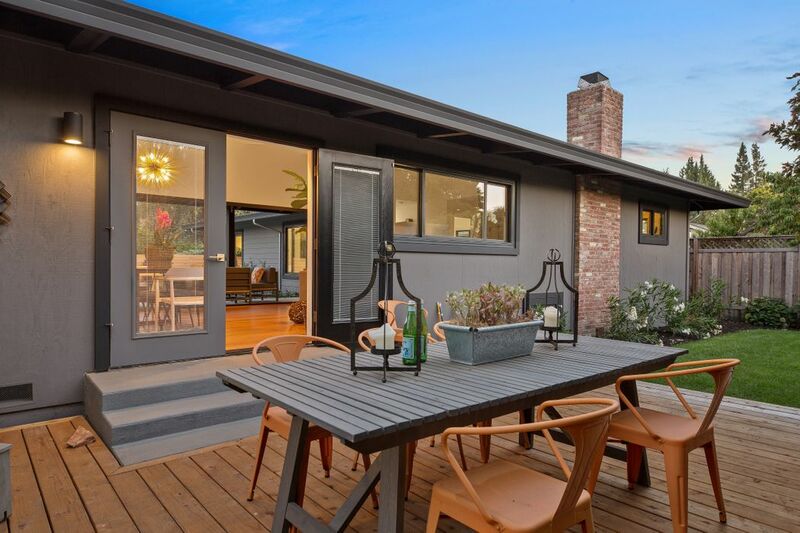 Beautiful serene backyard with a large redwood deck for entertaining. 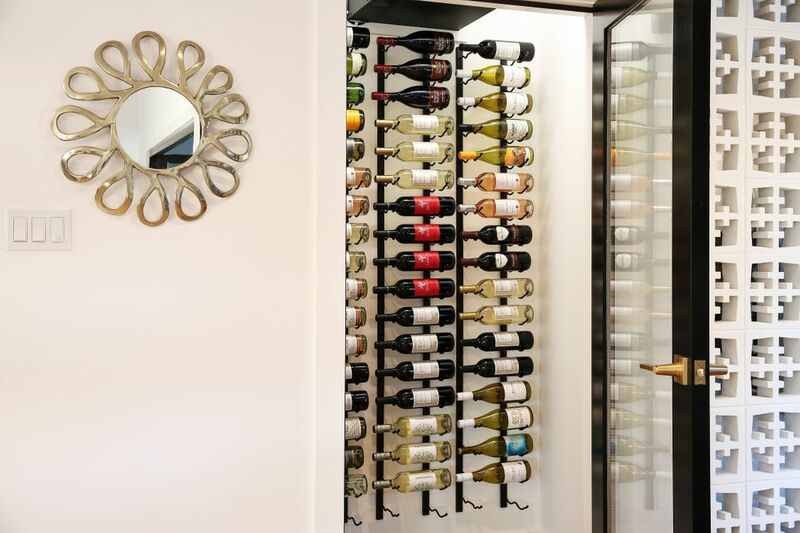 Relax and enjoy the wine country by selecting a choice from your 108-bottle vintage rack wine room. 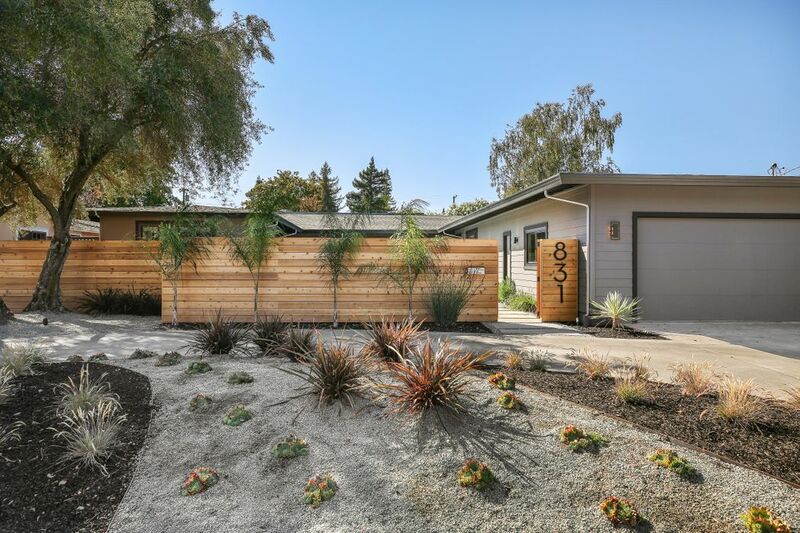 • New exterior HardiePlank® lap siding • 15 ft. accordion bifold glass door • Natural gas fire pit • Stunning smooth cut clear Cedar fencing with complete double side design • Oversized 2 car garage has been sheetrocked & a new modern door installed • All new furnace, A/C, new ducts, water heaters (2 zones) & state of the art front load washer & dryer in mudroom • Cabinet depth French door LED refrigerator with Kuerig® coffee center installed • 48” commercial, double oven range has 6 burners & griddle • Kitchen cabinets are solid wood with a 2 basket pull out recycling center, pull outs in cabinets, cushion close drawers, built-in microwave & contemporary fullface frame finish • Solid white Quartz countertops with peninsula waterfall design • Master bathroom has a double shower & deep soaker freestanding tub • Master closet custom designed by Closet Connections • Local expert, Dave Raffo sourced the original Oak PEG hardwood to complete a seamless expansion into the kitchen, pantry, great room & hallways • The pool has a 12ft underwater bench • Local famed landscape architect Ron Wellander designed the unique plant scape. 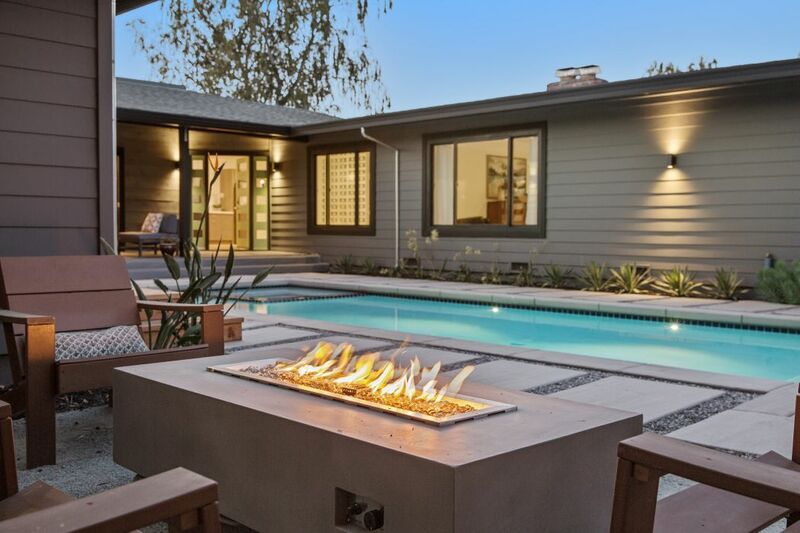 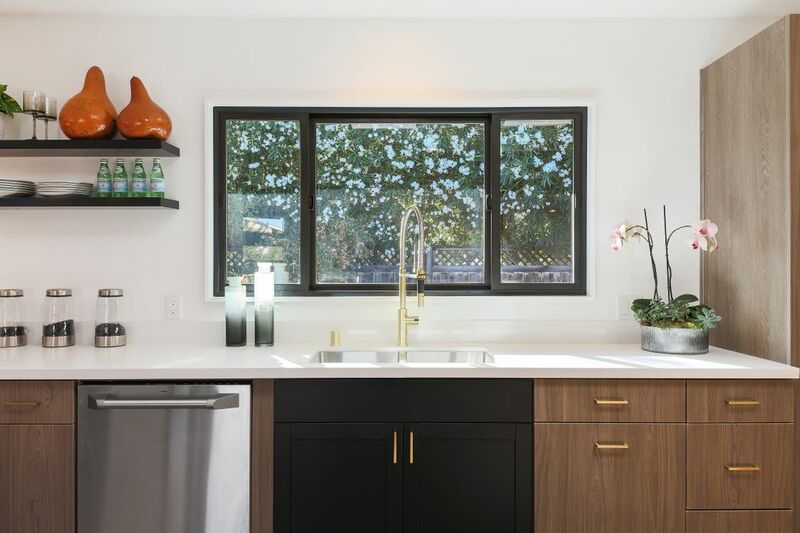 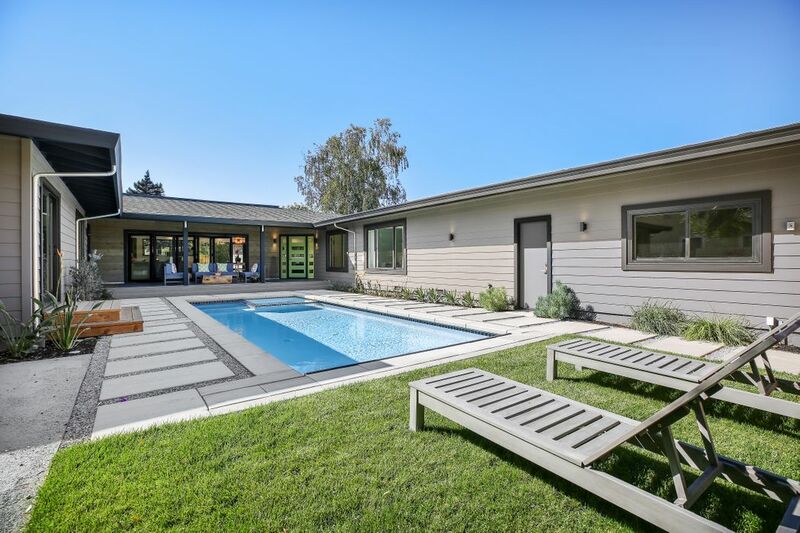 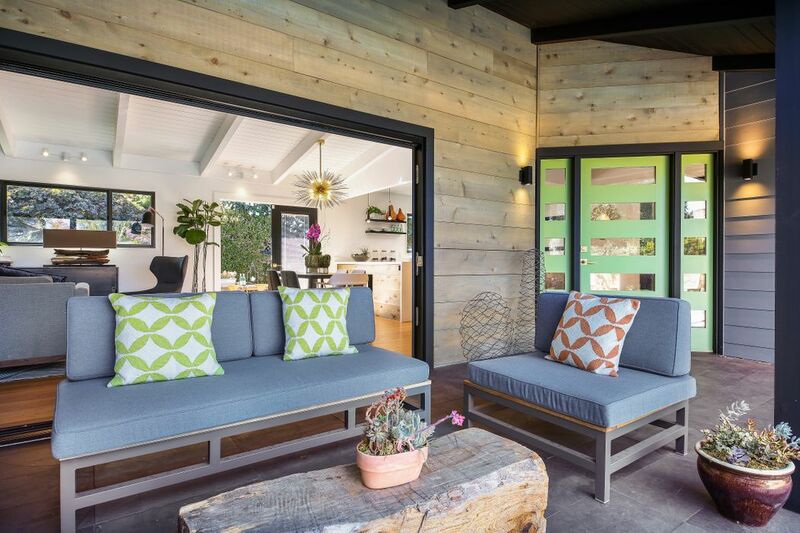 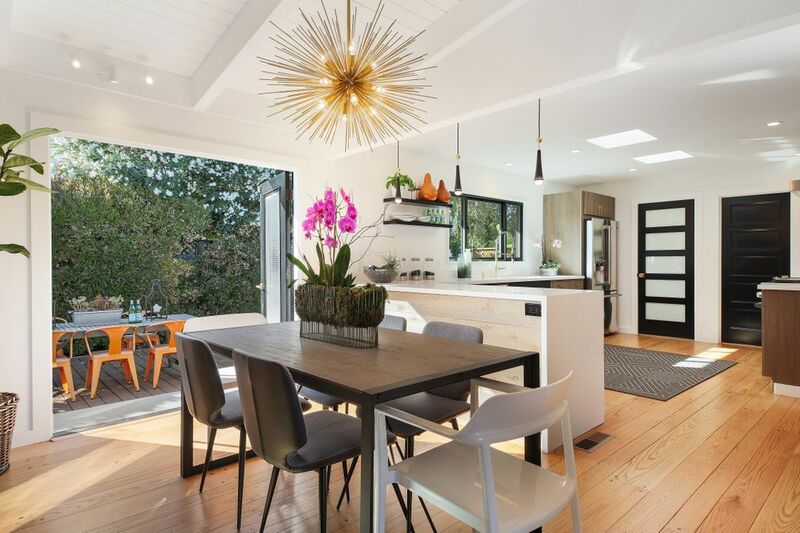 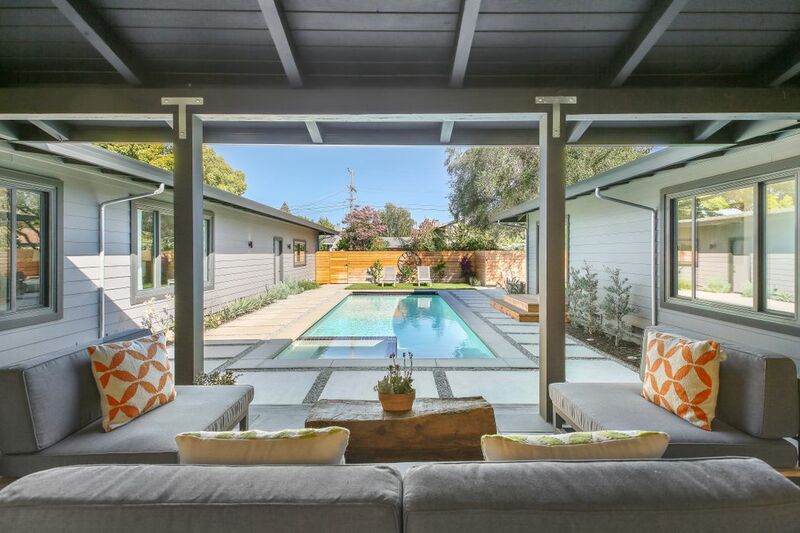 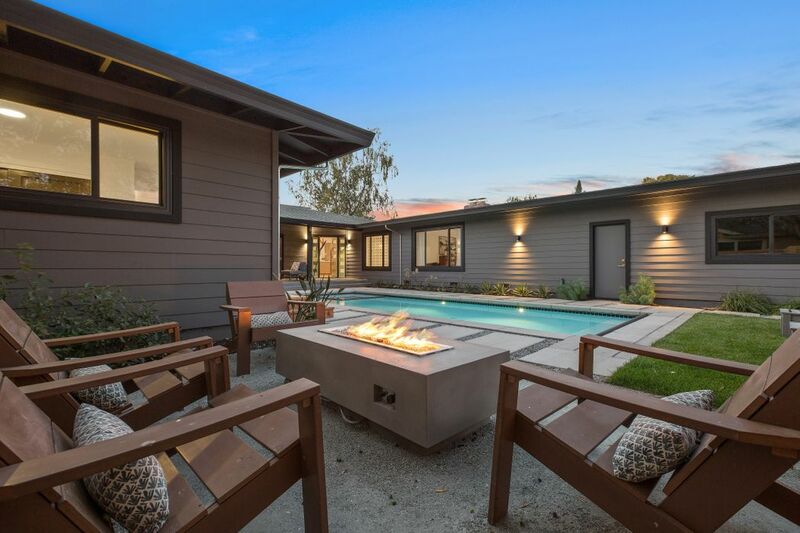 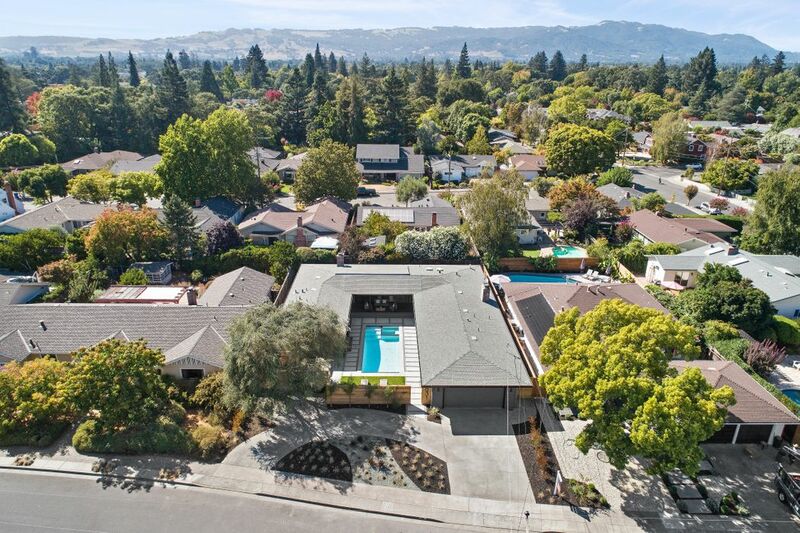 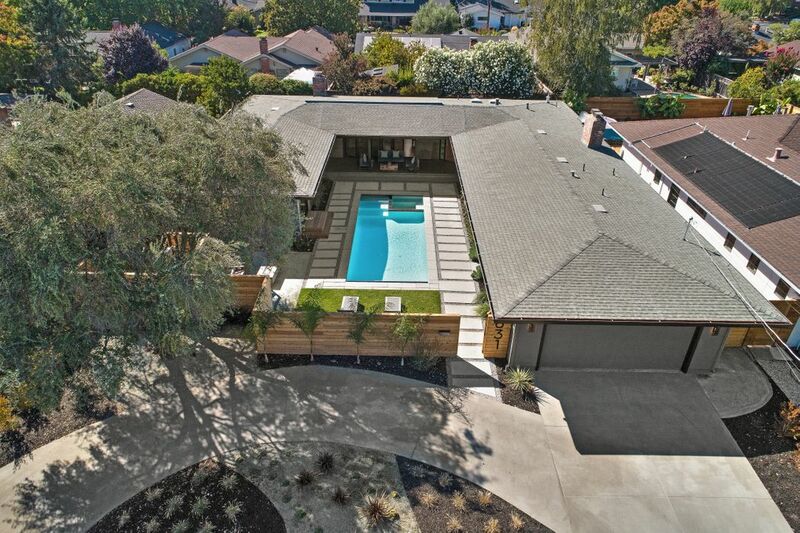 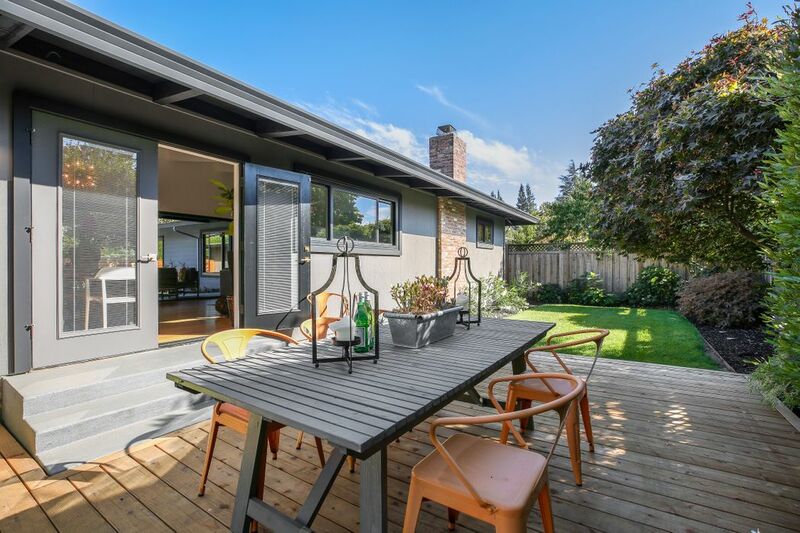 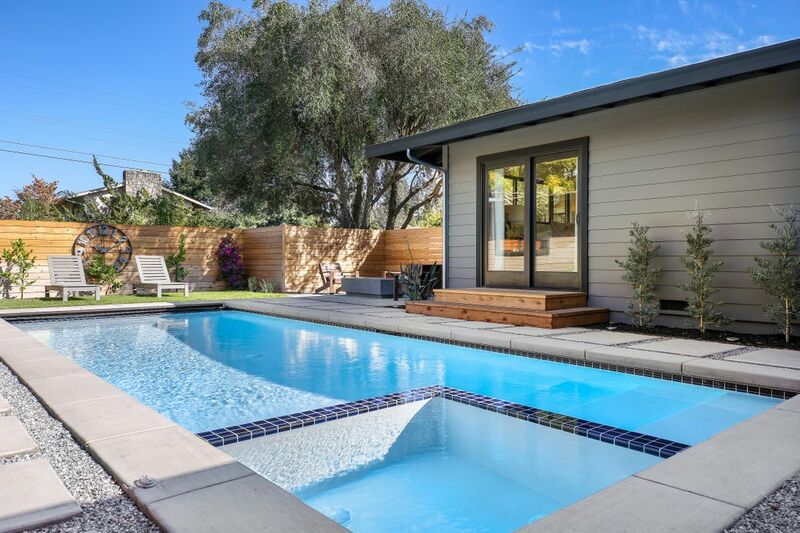 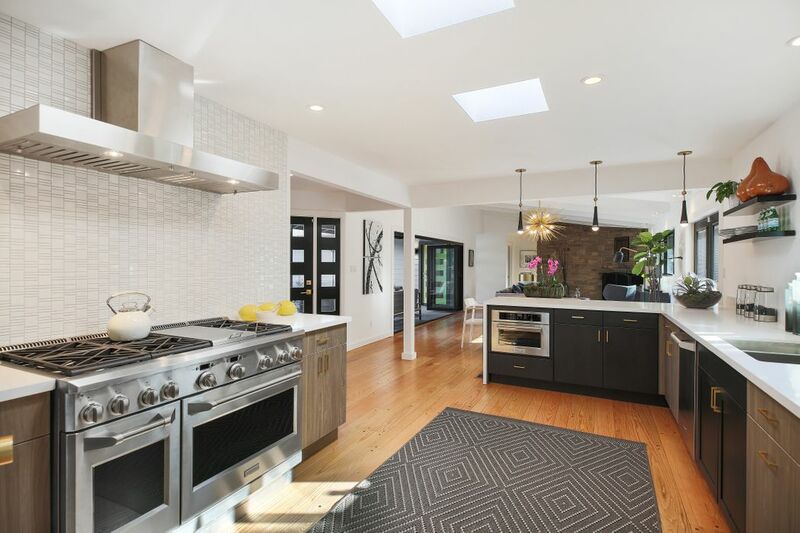 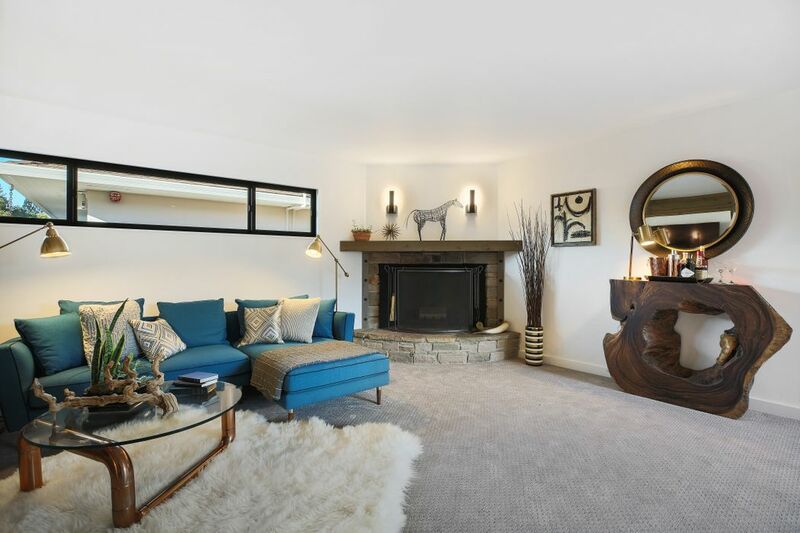 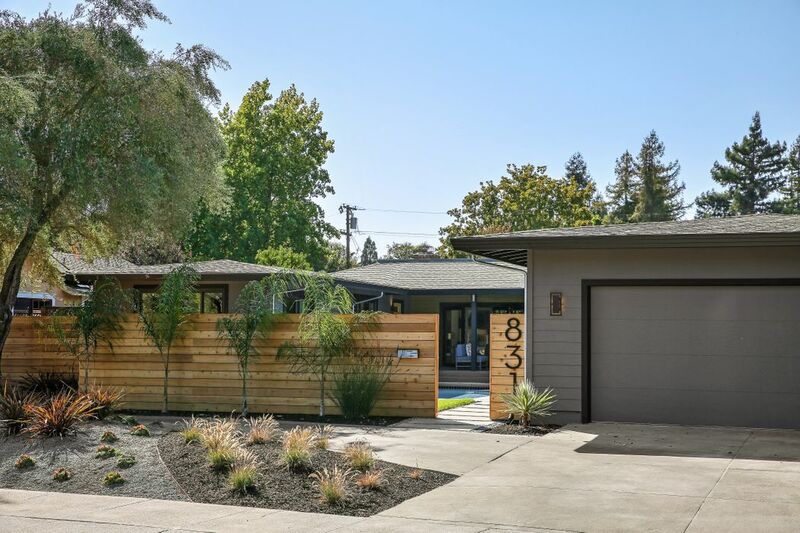 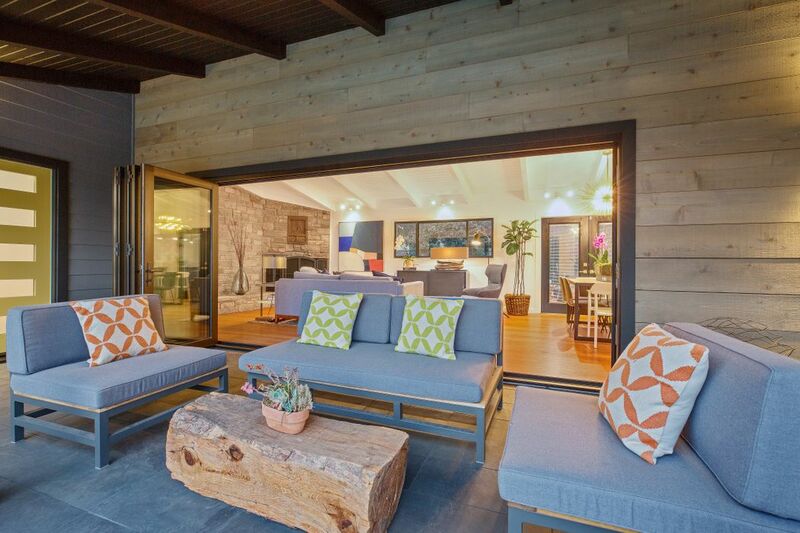 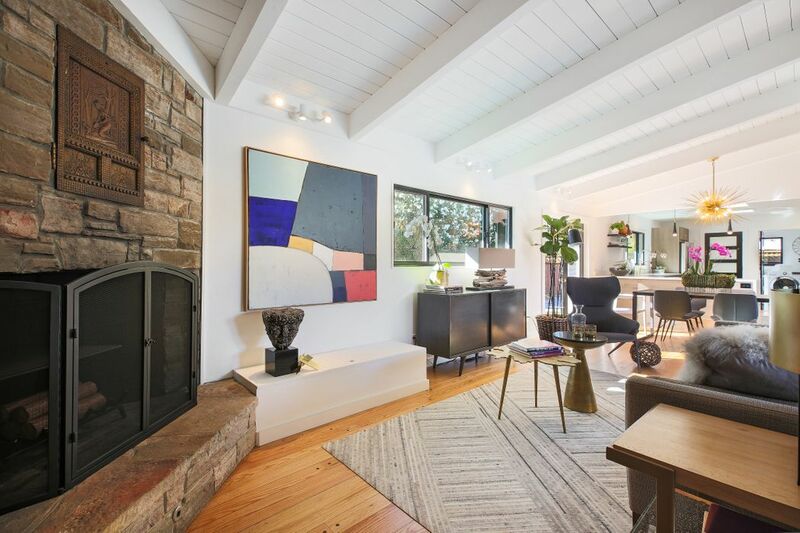 San Francisco Chronicle, "Remodeled Mid-Century Open Sunday in Sonoma"